International Sport Science Association - Certified Fitness Trainer & Sport Nutrition Performance, National Federation of Professional Trainers - Certified Personal Trainer, Spinning, Kettle bells, TRX, Flexibility & Stretching, Physical Therapy, H.I.V/AIDS training, Boot Camp and old fashion calisthenics. I am Phil Biggs, Sr., I discovered the benefits of personal training first hand after sustaining a serious back injury in high school. A former defensive back, I ruptured two discs in my spine, hospitalizing me. Through targeted exercise, I was able to correct my back issues and lead an active, healthy lifestyle. For the past 19 years, the spine’s interaction with body movement and exercise has b! een at the core of my personal training methods. I specialize in helping clients achieve new levels of fitness by strengthening the core and back. At age 47, I hold certifications from the International Sports Science Association and the National Federation of Professional trainers as well as degrees from Park University and the University of the District of Columbia. I have also acquired two years of study in Physical Therapy and H.I.V./A.I.D.S and have spent three years teaching the value of proper nutrition and exercise. My specialty is fat loss, building lean muscle, cardiovascular strengthening, and getting lasting results in a relaxed environment. My training utilizes strength, stamina, balance and core strength. I offer boot camps, kettle bell, bodyweight training and old fashion calisthenics. Do you want your body to burn body fat long after your workouts? Body By U Fit’s philosophy is simple: ‘Empowering people to live a healthier lifestyle’. Motto: In order to be successful you must first meet “FATIGUE, before you can meet PROGRESS.” Have Fun. Get it Done! Get Fit Fast. 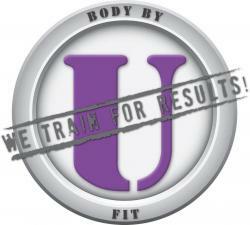 Body By U fit is based on three basic principles, Innovation, Education and Motivation. Body By U Fit is a life with a positive Mental attitude, the correct amount of Activity throughout your day, proper Nutrition for the person you wish to be and Alignment of your muscles to achieve the aesthetic and pain free body of your dreams. Training focus is on functional and integrated training, working our bodies the way that we use them. This means working large and small muscle groups alike, moving multiple joints through full ranges of motion, and constantly emphasizing stability and body control. High-quality integrated training will train your body to be strong and healthful, balanced and stable, and will help you build muscle, burn calories, and rapidly increase strength and endurance. Total fitness through strength training – We are dedicated to the science of total fitness through the use of research-proven techniques of strength training. This is the only method proven to produce permanent results in fat loss, body shaping and overall health regardless of your age or physical condition. This is the fastest path to total physical fitness. Change your body, change your life – Personal fitness is a gateway to other important life changes. Becoming stronger, healthier and more attractive provides a tremendous boost in self-esteem, self-confidence and personal power. Changing your body into the body you’ve always wanted is for many the key to a healthier, happier and more fulfilling life.